What if all it took to stay young was adding a few extra foods to your diet? Anti-aging foods make it happen. That is they are the foods you would be crazy not to eat. Eating anti aging foods such as those rich in lycopene and vitamin E (alpha tocopherol) may help you keep your skin looking young. Here are the foods you should look differently at the next time you shop for groceries. One of the major causes of skin aging is unprotected exposure to the sun, something that can't be helped, let alone control, much like global warming. As the ozone layer grows thinner, so does it become harder to protect yourself from sun exposure caused skin aging. Luckily enough, lycopene comes to the rescue. It helps slows skin aging from getting too much sun. Here are the superfoods you need to eat to lycopene up your diet. The tomato is without a doubt a super lycopene food. In fact, tomatoes are the best source of dietary lycopene with the most potent form of lycopene coming from sun dried tomatoes, which kind of makes you wonder why they are so good at protecting your skin from harmful uv-radiation you get from being exposed to sun light. Watermelon is another source of of lycopene that you can start thinking about when planning out your diet. That is tomatoes are not the only lycopene food. 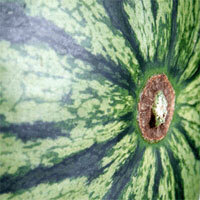 In some cases watermelon has more lycopene content than raw tomatoes. 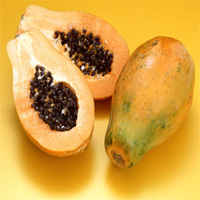 Papaya is a tropical fruit rich in lycopene. 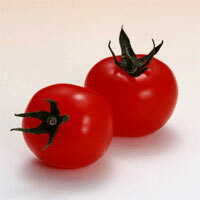 It is one of those fruits like tomatoes that is also a vegetable by classification. If want to eat papaya but aren't doing well with how it tastes, eat with lemon juice to reduce its acidity. In addition to being a good source of lycopene, papaya is also good for vitamin C and folate. 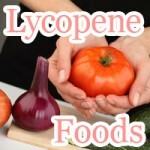 What are some other foods containing lycopene? Well, there is grapefruit for one. You can also get lycopene from eating mangos as well as vegetables like asparagus and carrots. Note that red colored fruits and vegetables are not the only source of lycopene you have to choose from. Lycopene is a phytochemical that makes up the color, often red pigmentation found in lycopene foods such as sun-dried tomatoes, guava, and watermelon. Some studies suggest that dietary intake of lycopene can help protect your skin. The easiest way to get more lycopene in your diet is to eat tomatoes, one of the best sources of dietary lycopene. Lycopene nutrient absorption increases when eaten with monounsaturated fat or mufa rich foods like avocados, olive oil, and almonds, which typical menu items when on the flat belly diet. The recommended intake of lycopene is 5-7 mg a day, which is the amount you would get by eating 2-3 whole tomatoes daily. Almonds are one of the best natural sources of vitamin E there is. Just by eating 10 grams of almonds you get 3.1 mg of vitamin E (alpha tocopherol), which give you over 20 percent you daily value. So if you are worried that you aren't getting enough vitamin E in your diet, just eat 15 mg of almonds a day. Vitamin E is an strong antioxidant that is used for aging skin due the anti-aging properties it has such as the property that allows it to absorb energy from harmful uv-light radiation, protecting your skin. 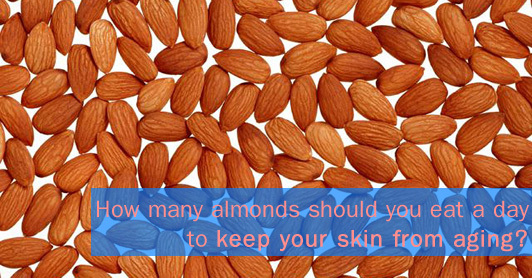 This is why people often apply vitamin E to their skin like lotion to keep it from aging. 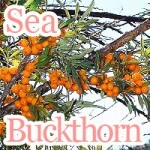 It is also said to be possibly effect for sunburn and healing certain kinds of skin sores. However, not all forms of vitamin E have the skin care benefits. The best form of vitamin E to take for your skin to effectively reduce skin roughness are natural forms of vitamin E such as alpha tocopherol cream and tocotrienol. 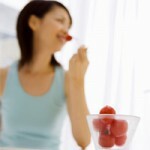 What are lycopene foods? Tomatoes, watermelon, and salad dressing have one thing in common. That is being high in the antioxidant lycopene. Hot yogurt gives you your daily dose of probiotics to step up in your diet. Combined with sesame seeds you can take antiaging to the next level not to mention keep your body from piling away on fat. Summer vegetables bring both nutrition and affordability when they are in season. Don’t miss out on edamame, goya, and tomatoes to save money in your diet.